Even as most of us are still getting used to the idea of a live-action Pokémon movie that actually captures even a fraction of how weird that particular video game universe— with its flamethrower dogs, almost-human “animals,” and child-stealing balloon ghosts—actually is, Legendary is already gearing up for Detective Pikachu to be a huge success in theaters. THR reports today that the studio is already making plans for a sequel to the upcoming film, which sees Ryan Reynolds voice a grouchy little lightning rat who you know is a detective, because hey, look at his little Sherlock Holmes hat. Reportedly, the studio has already hired Oren Uziel—whose past credits include 22 Jump Street and The Cloverfield Paradox—to pen a second outing for Reynolds’ coffee-guzzling shock mouse. (Which also suggests— irresponsibly to our minds—that Detective Pikachu is guaranteed to survive whatever grisly noir action he gets up to in the first film; thanks, spoilers.) 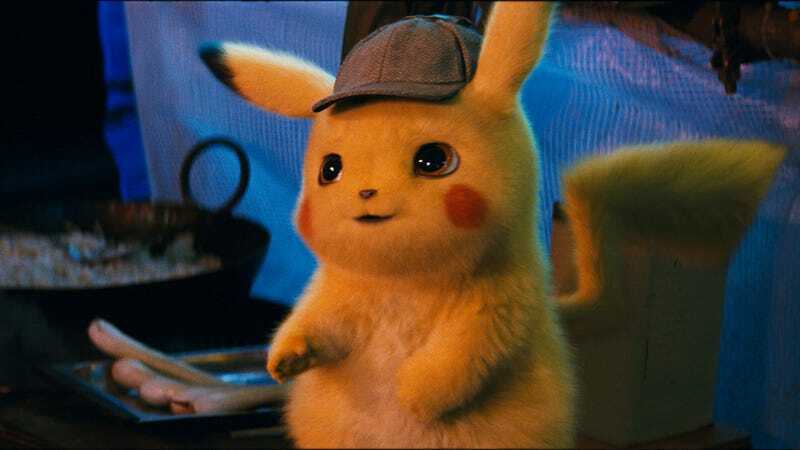 The first film—which also stars Justice Smith as Pikachu’s human buddy—doesn’t come out until May 10, but we’re reassured to know that cute CGI characters wearing even cuter hats is still considered a bulletproof concept in Hollywood circles.